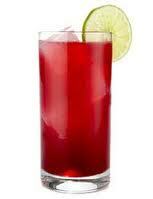 Cape Cod Malibu drink recipe made with Cranberry juice,Rum,Vodka,. How to make a Cape Cod Malibu with all the instructions and ingredients. Mix the vodka with the shot. Add the cranberry juice. Amy&apos;s Pick-Me-Up View This Recipe!